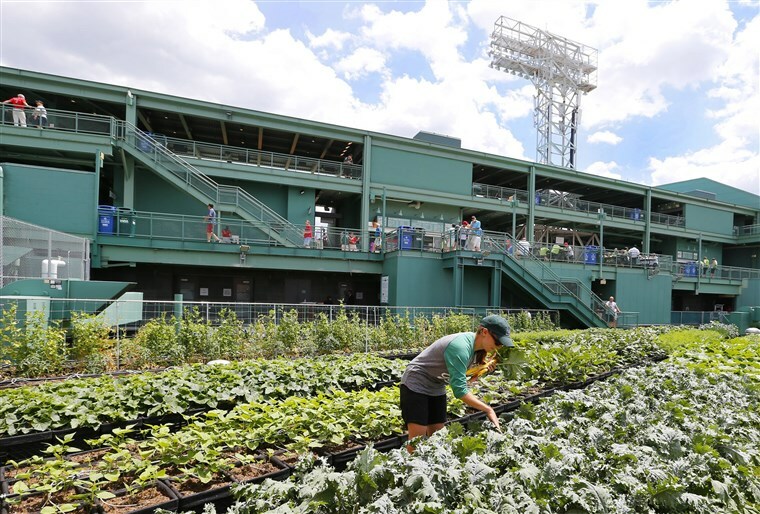 “Urban Gardening” is a term heard quite often in recent years as we’ve witnessed beautiful flower and vegetable beds flourishing on top of Boston’s highest buildings. Once unused and covered in tar, these rooftops are being converted one by one into magnificent, landscaped oasis’ that are incredibly purposeful in their design. 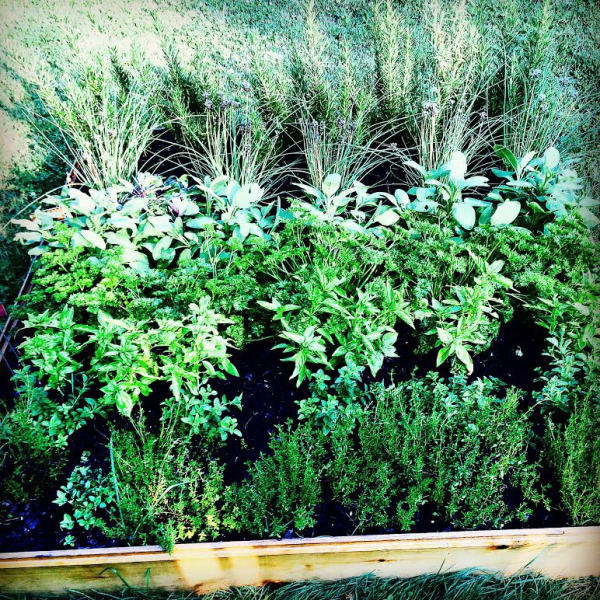 Not only are these areas transformed into “green” areas where people can connect with the great outdoors but these gardens are also providing a healthy source of food for their proprietors. Tomatoes, cucumbers, peppers, eggplant and lettuce are just a few of the delicious assortments of crops Bostonians are harvesting right above their ceilings. Depending on the garden, a percentage of produce are sometimes even being donated to local shelters and food pantries, not only promoting healthy eating but also showing kindness to others who are less fortunate. Further implementation of these efforts is also used for local food market inventory and restaurants focusing on the “farm to table” concept. Pretty amazing, right? You might ask yourself how a slab of roofing is magically changed into these cultivatable platforms that are hundreds of feet up in the sky? Thankfully, you don’t have to enlist the expertise of a high-priced designer or fancy architect to complete the job. You will on the other hand, need to first make sure that the roof is secure to withstand the weight of a garden. For this job, you might have to hire a pro but once you get the “ok”, you can pretty much do the rest on your own. First, you’ll need to purchase raised bed brackets that are made out of plastic or other light form of material and put them together. Wood gets heavy after its been rained on for a bit so unless you are making this garden on top of steel, stick to other options available. Next, fill the beds with soil adding miracle grow or some other nutrient rich compound. 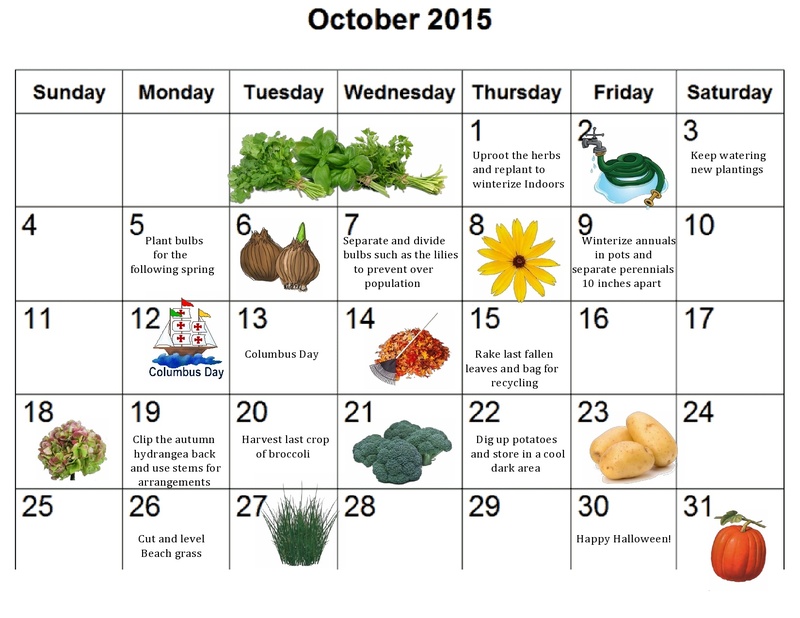 Plant your preferred varieties of fruits and veggies and tend to your crop as it grows. 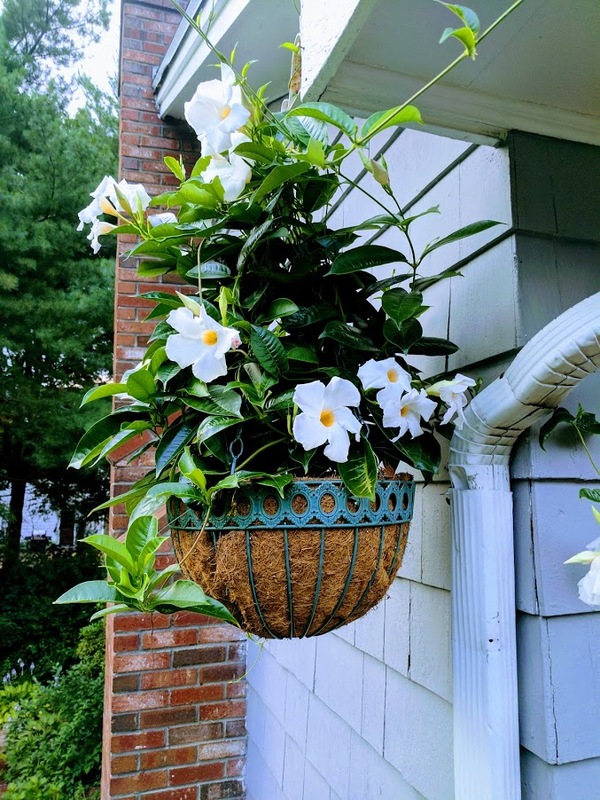 My favorite to plant to bring home is the Sun Parasol Mandevilla. These have deep green foliage and grow vine like. I have three of these planters at my garage, another two at my front door, two hangers, three upright ones by my pool, another on my deck and yet another at the back door. Aside from their striking beauty, these plants are so easy to care. They flower from May to November. They love the sun and they like to be on the dry side. Believe it or not, you can go away for the weekend and they do not die. 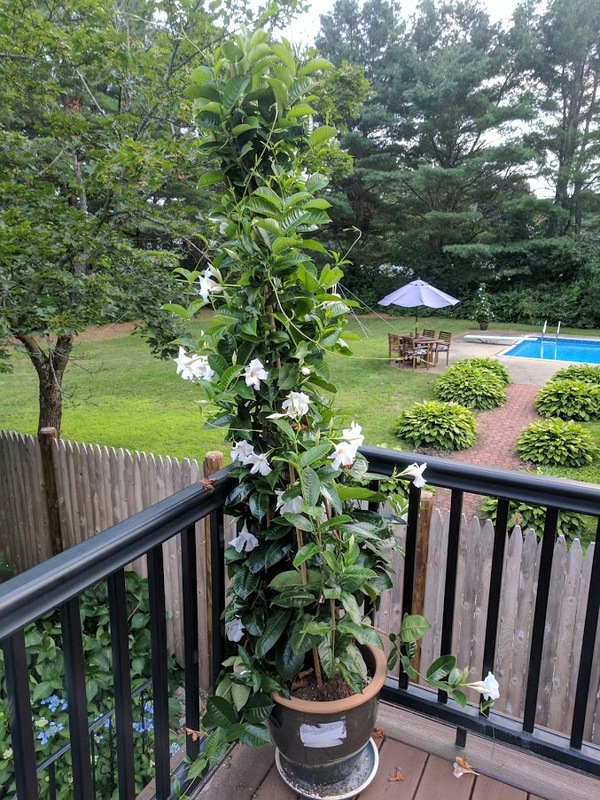 Not many other deck plants can take that type of abuse. These two urns at my front door have been encouraged to grow wild and use no trellis or bamboo stakes to train the vines. Available at our Roslindale location, we offer many sizes in white, crimson, pink and yellow. Those are some pretty great reasons to foster a hobby for cultivating plants and flowers! 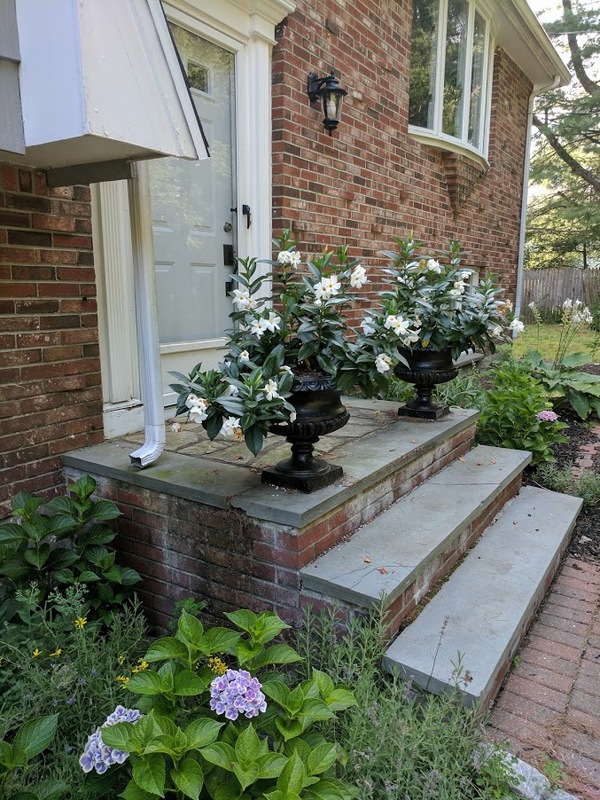 If you are interested in floral arranging, Memorial Day also has some great opportunities to flex your creative muscles since New England native species should be up and blooming. Bulb plants such as grape hyacinth, tulips and fritillaries make excellent additions to bud vases and nosegays while forsythia and other flowering branches make striking centerpieces when gathered in clumps together. If you don’t find any of these plants growing nearby in your yard, now is an excellent time to visit a greenhouse and begin planting some of your favorites for next year! This holiday inspires fantastic sales brought to you by those in horticulture business so be sure to check out your local deals! We are well into the fall season and leaves are drifting to the ground right on cue. Plants are a bit frozen, fruits and veggies are long gone and flowers are shriveled up tightly, which are all hints to us that the season for growing in New England is over. In some parts of our state, you may have already seen snow (I shudder to thing). For me, it’s a very disappointing next few months but accomplishing outdoor tasks are far from over. There’s a lot to be done before next years cultivation of newly flourishing gardens and right now is the time to do it. 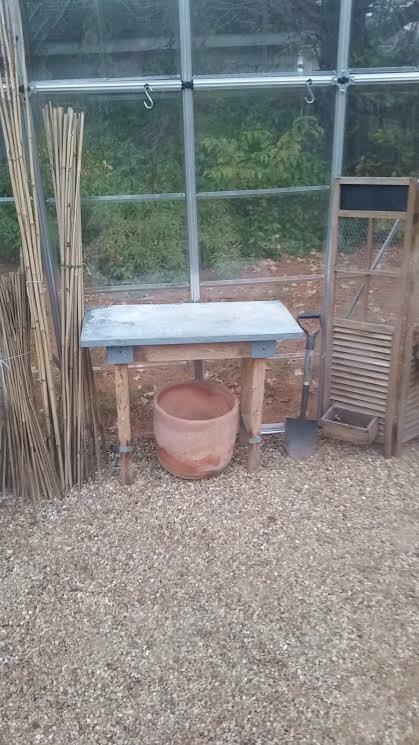 Last Sunday, I spent hours preparing raised beds and the surrounding grounds for a chilly winter freezing so that next spring, I’ll be raring to go out there! The truth be told, many avid gardeners forgo the whole process of shutting down their green thumb efforts and decide to deal with the aftermath the following April. I’ve been tempted to take the easier path and just skip the whole thing as well, but considering the time and extra cost I’ll have to succumb to, it’s really not the smart way to go about things. The ordeal isn’t that bad once you’ve got a system going so in order to help you, I’ll pass along mine! Before the weather turns to sub zero temps, consider these facts and easy care tips to maintain your gardens throughout the entire year. Leaving tools and ceramic pots outdoors during storms and frigid temperatures can damage and break these necessities we use throughout growing season. Extra money will need to be spent on replacing what is lost and can incur considerable budget blunders. The time wasted cleaning leftover plants that will not return for another year can take up valuable space in your garden planning. Instead of starting off fresh with new additions, you’ll be stuck yanking roots systems that you’ll find trickier since they’ve been in the ground for over a year. Instead of emotions of happiness and elation we typically feel when celebrating a new gardening year, we can actually regress into anger and disappointment when we have to start spring with unrewarding work such as raking and weed removal. We want to keep things positive, so make time in your schedule to things done! Let’s face it-when we haven’t done our job at the end of fall, things turn out to be much, much messier when the calendar flips to May. Who wants to stare out the window and see dirty remnants of last years harvest when we could be gazing at sprigs of early pretty perennials? Anything that is fragile or breakable (including ornaments and containers) should be safely put away on “low” shelves within garages, storage sheds or greenhouses. If we have a windy winter, you’ll be glad they’re not up high where they can fall down. 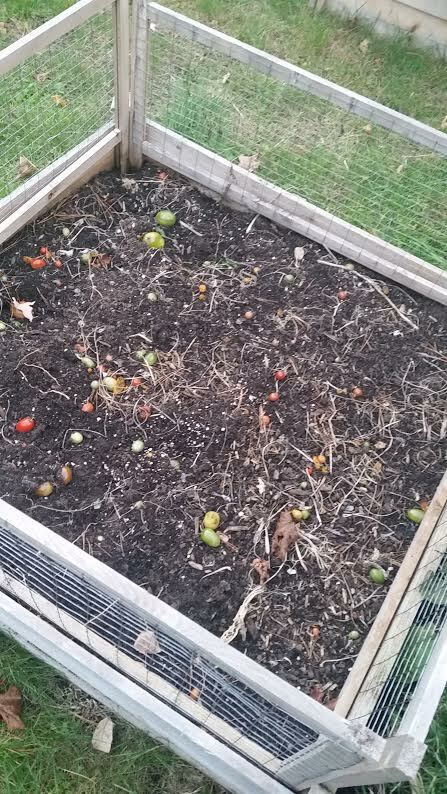 Remove all veggie, fruit and annual plants from beds because they will not re-grow next spring. Keeping them planted past their prime can solidify their roots making it difficult to pull after a freeze. Store any chemical products such as weed killer, turpentine or other gardening food in an airtight area to avoid possibility of fire. Place reusable items such as garden stakes, tomato cages and netting in dry areas of your home so that they can be utilized again. Saving these materials not only will save you cash next year but also support “going green” which helps keep our environment healthy. It’s April here in New England and if you’re into gardening, you’re probably itching to get outside and dig in the dirt like me. We just can’t wait to begin tilling the soil, planting delicious veggies and designing beautiful beds of flowers everywhere but here’s the problem… This is Massachusetts. The sad fact is that it’s still a bit chilly at night and the weather is still fluctuating between winter weariness and summer’s delight. That’s why we call this time on the calendar “spring” because unfortunately, the days are unpredictable making gardening a bit tricky. I know the idea of waiting for another month to plant might sound agonizing but putting anything in the earth before Mother Nature gives her “okay” will only lead to expensive trips to the nursery when you have to redo your harvest. It’s just not worth it but that’s not to say that we can’t accomplish other preparations before then! So what are a few of the tasks we can get started on? There’s plenty! Here’s a list to keep you well occupied in your backyards until May arrives and remember - a happy gardener is a busy gardener! Re-seeding your lawns when the weather hits 60 degrees is a great way to get things rolling in a “greener” direction. Patch up spots of space that may have been affected by the harsh cold temperatures and fill in places where the grass seems to have become thin. Load up on your favorite seeds like peas, lettuce and zucchini! Just because you can’t put them in the ground right away doesn’t mean you can’t look at the pretty packages and dream until then. Stores such as Ocean City Job Lot often run sales at this time so take advantage! Drag out the lawn furniture and set up shop for the season! Hold back on patio umbrellas that might snap with unruly lingering weather but take your tables and chairs out of storage in case there’s a night when you prefer to dine alfresco! The rule is that you have to wait to plant seeds until late spring/ early summer but there are actually some varieties that can take the chill and survive an April sowing. Peas, herbs and some lettuce species are hearty and will also give you something to take care of outside until the rest of your seeds are ready! 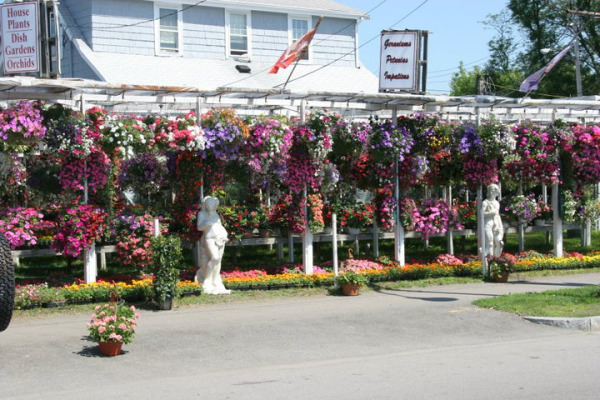 Its that time again for all of New England's garden lovers to enjoy the world famous Boston Flower Show! Running through Sunday, March 20th, spectators will be left in awe at the presentations made by our cities most prominent designers. This year’s theme, “Nurtured by Nature” promises to be a special one where all exhibits must reflect this idea throughout their entire display of flowers including props, containers and subject matter. From divine intricate sets to scaled landscaping, this year’s show is already being named one of the best in its history! You also won’t want to miss the judging for who wins best for creativity, complexity and originality, which has categories for both experts and beginners. How exciting, there’s just no telling who will achieve solid gold thumb stature! Along with the stunning floral installments, there’s a whole bunch of other programs and events to take notice of as well. There will be lectures from guest speakers who are industry leaders as well as demonstrations for those who want to learn the tricks of the trade. If that’s not enough- bring your wallets and purses because the marketplace has a fantastic lineup of vendors selling beautiful accessories including hats, silks, baskets, jewelry and more! 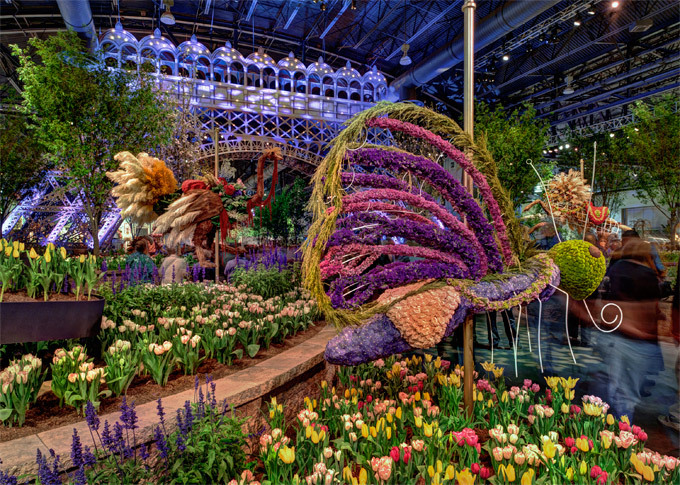 It's quite an impressive line up so get ready for a fun filled four days enjoying the Boston Flower Show of Boston! Parking is limited although there is shuttle service available from nearby garages. Parking on the grounds is competitive so arrive early! Tickets are available for $20.00 per adult, $17.00 for seniors and only $10.00 for children. Make a day out of touring the beautiful flowers arrangements and let spring inspire you! Trending this year is a new way to architect plant appearances and honestly, it’s a pretty cool change from your typical straight as an arrow plantings. By using diagrams constructed by our regions most talented horticulturalists, we are able to now manipulate the pathway of shoots, tendrils and leaf formations to create art for our gardens! 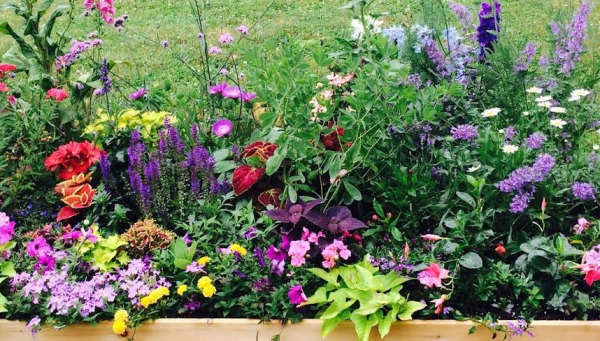 Not only will the contemporary techniques update your flower and vegetable beds but they will also inspire others to join in the fun! Sometimes children and spouses are reluctant to participate in backyard toiling but I guarantee, these ideas will get everybody up and excited about getting their hands in the dirt! the basket literally fill with veggies! So fun for a pretty backyard piece! Sunflowers are one of my favorite blooms to watch stretch and grow in my garden. Their sunshine happy faces, their bold green foliage and striking color all are reasons why I strive to cultivate a crop every summer. The trouble is, I’m not the only fan of this seasonal beauty. Sunflowers are also anxiously awaited by several critters, insects and wildlife that can’t wait to sink their teeth and claws into the soft baby leaves that appear first once the seedlings begin to develop. Time and time again, I’ve carefully devised several strategies to stave these pests away but every year I wake up to that fatal morning where I witness the horrifying site of chomped sunflower stems. Could have been rabbits or maybe even a hedgehog but one thing’s for sure, these forest delicacies were mowed down as soon as the plant could provide a hearty meal for some lucky vermin. Or worse yet- how about the terrible damage inflected on the leaves by ants and other creepy crawlers that find sunflowers a tasty salad? So what do we do? Forget the sunflower all together? Nah. Just hang in there and look these tips over to help ward off predators from your lovely patch. #1. Sunflower stems are only enticing when their foliage is soft and young. Most animals will leave them alone once they have reached a height of 1 to 1 ½ feet tall so applying bird’s netting or a mesh blanket over the plant when it is in its early development will shoo most pests away. #2 Place a container such as a soda bottle that has had the top quarter cut off over the seedlings. This not only will keep away rodents but also create a nice greenhouse effect to nurture speedy growth. #3 To keep away slugs and other slithery foes, gently spray the sunflower with a water mixed with a little dish soap. They absolutely hate that combination and it wont hurt the flower at all.